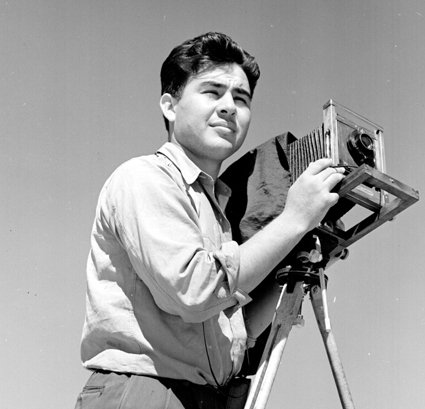 The American Masters series and Latino Public Broadcasting’s VOCES series join forces for the first time to explore the life and work of photographer Pedro E. Guerrero (September 5, 1917-September 13, 2012), a Mexican American, born and raised in segregated Mesa, Arizona, who had an extraordinary international photography career. 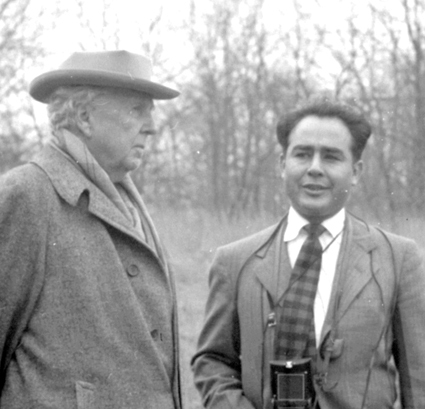 American Masters — Pedro E. Guerrero: A Photographer’s Journey highlights the milestones in Guerrero’s life: his serendipitous enrollment in photography classes, his 1939 meeting with Wright at Taliesin West (Scottsdale, AZ), his World War II service and his post-war magazine photography career in New York City, shooting interiors while his work with Wright continued. 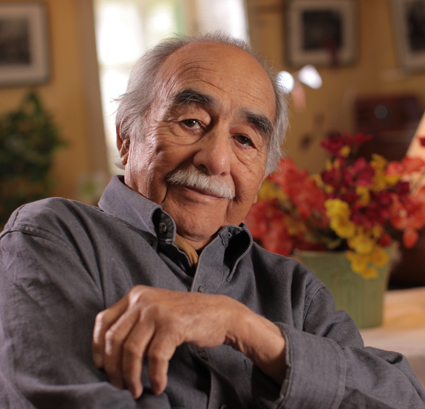 Settling in New Canaan, CT, Guerrero describes his life after Wright’s death, his work with Calder and the end of his magazine assignments because of his vocal opposition to the Vietnam War. This led to more work with Calder, and eventually, Nevelson. After Nevelson’s death, Guerrero, now 75 years old, returned to Arizona, where he lived until his death at age 95. Guerrero’s second wife and archivist Dixie Legler Guerrero; Nevelson’s granddaughter, sculptor Maria Nevelson; his friends, collaborators and architectural experts, including Martin Filler, also share insights and recollections. 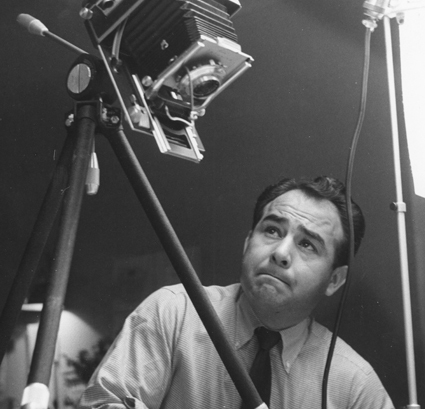 American Masters — Pedro E. Guerrero: A Photographer’s Journey is a co-production of Paradigm Productions, Latino Public Broadcasting and Independent Television Service (ITVS) in association with American Masters. Raymond Telles and Yvan Iturriaga are co-directors and co-producers. Michael Kantor is executive producer for American Masters. Sandie Viquez Pedlow is executive producer for VOCES. This special presentation of American Masters and VOCES has been provided by the Corporation for Public Broadcasting and by the National Endowment for the Arts. Additional funding for American Masters is provided by Rosalind P. Walter, The Philip and Janice Levin Foundation, Judith and Burton Resnick, The Blanche & Irving Laurie Foundation, Vital Projects Fund, Michael & Helen Schaffer Foundation, and The André and Elizabeth Kertész Foundation. Additional support for VOCES is provided by the National Association of Latino Arts and Cultures. Additional funding for Pedro E. Guerrero: A Photographer’s Journey is provided by Berkeley Film Foundation, Castellano Family Foundation, Elise Jaffe + Jeffrey Brown, and Mike and Ginny Lester. VOCES is presented by PBS SoCaL. Iturriaga received a BA in film and new media from Occidental College, worked as a cameraman in Los Angeles for TV networks Telemundo and Univision and has shot various independent projects including “AdCorp, Inc.” and “Danny Roane: First Time Director.” He is currently developing his first feature screenplay.